Reassurance shield after 150 as we head out of Lone Jack. 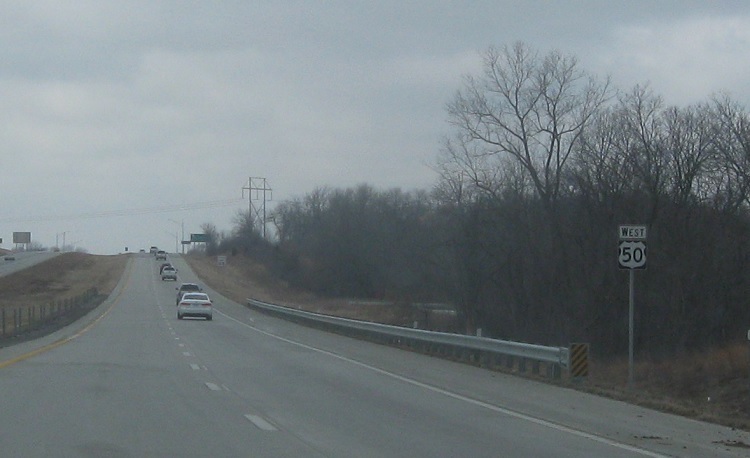 In four miles, we’ll approach Missouri 7. 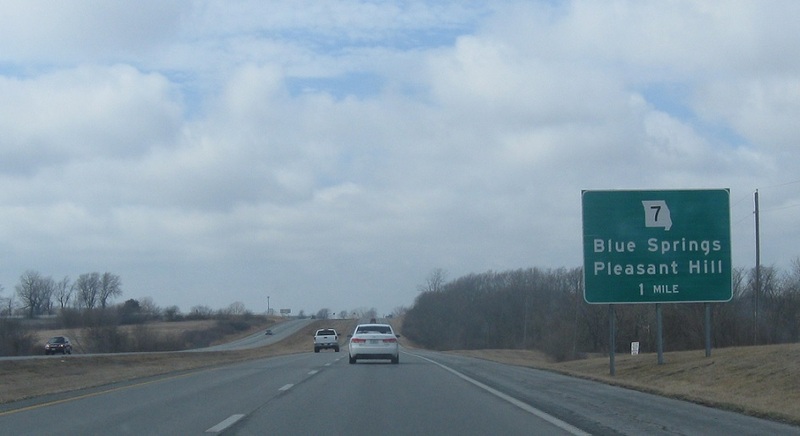 In a mile, we’ll approach Missouri 7. 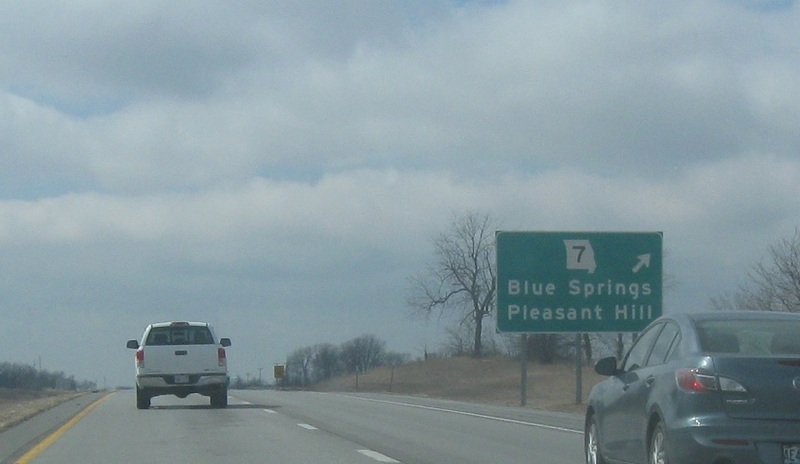 Exit for Route 7, which heads north to Blue Springs and south to Pleasant Hill.